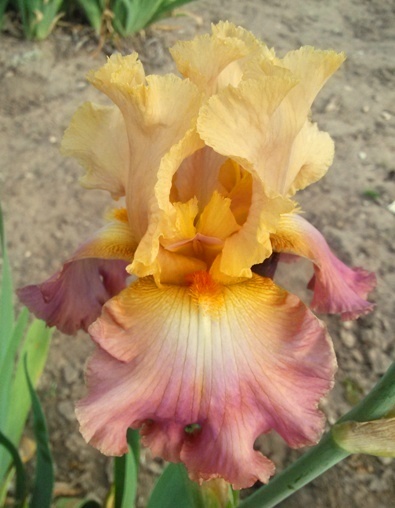 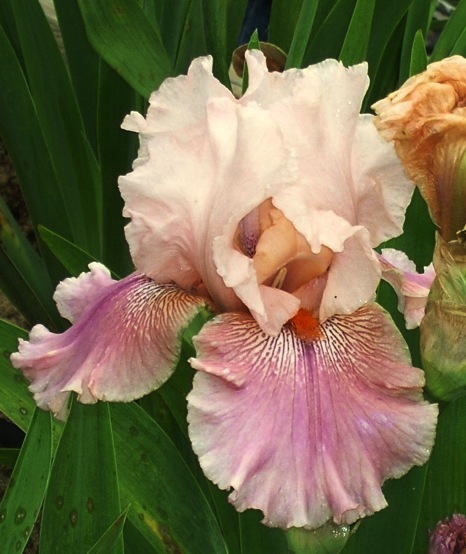 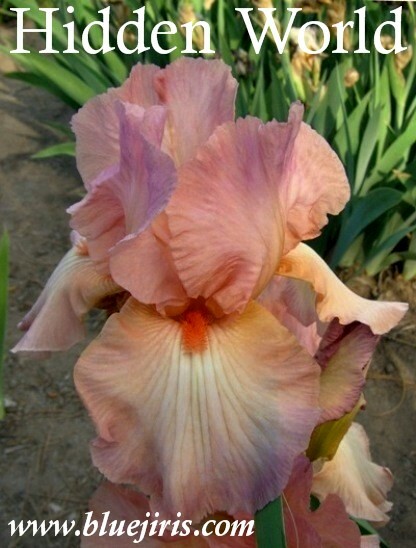 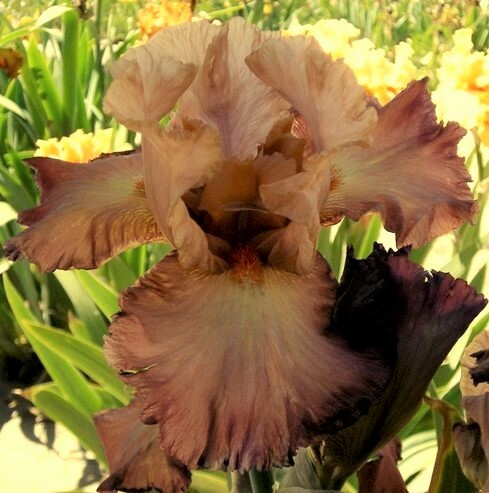 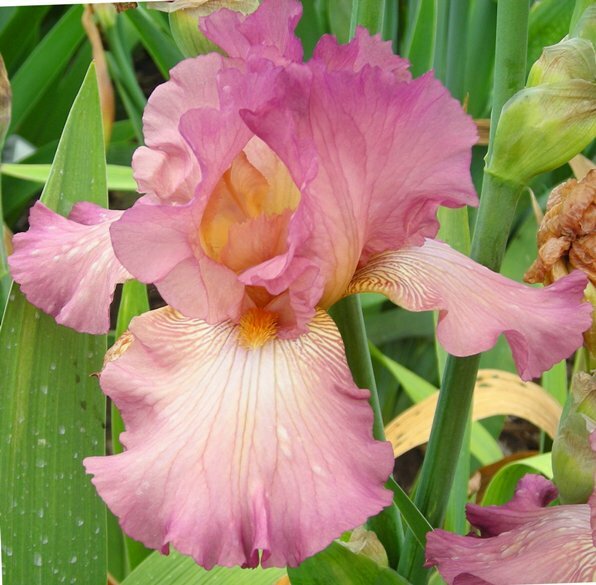 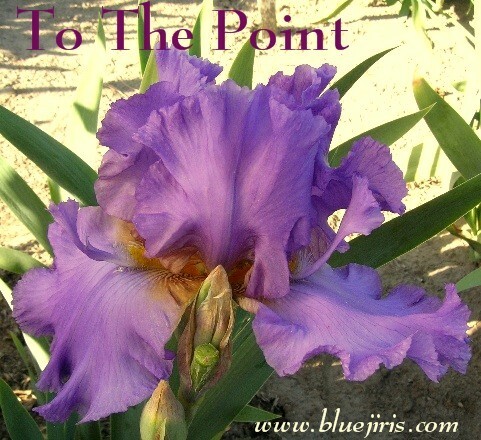 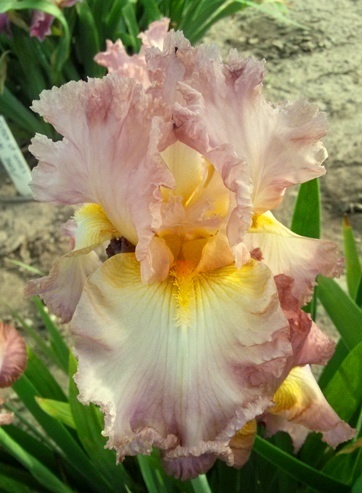 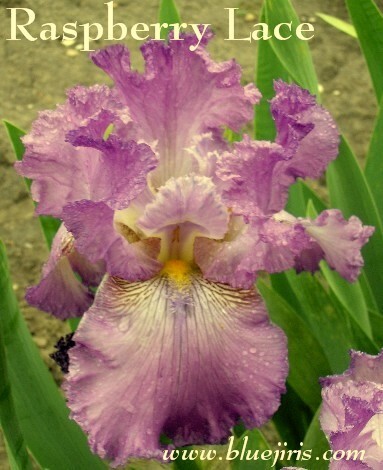 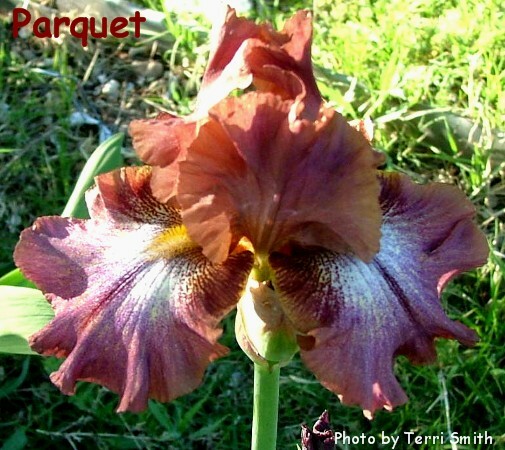 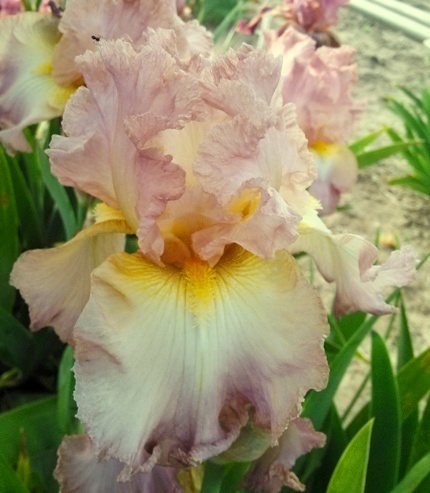 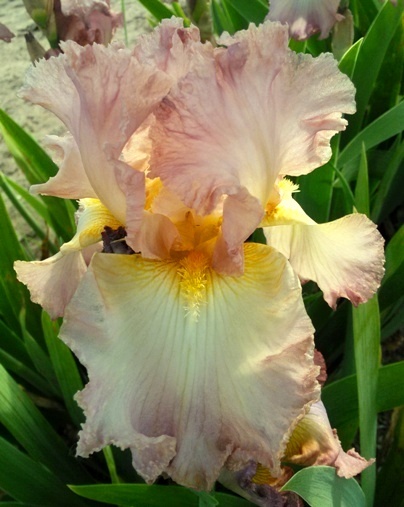 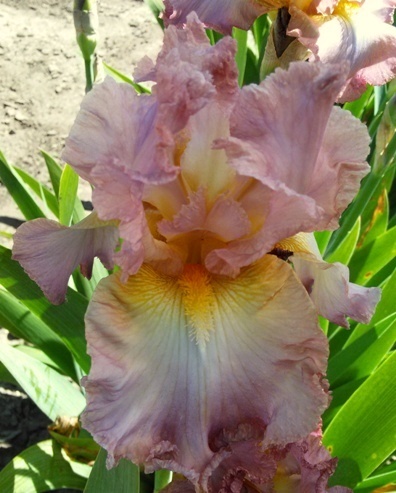 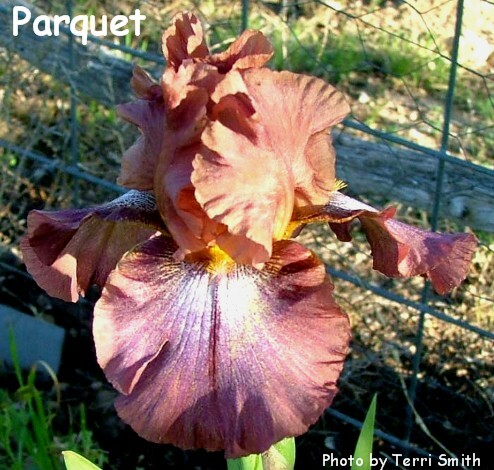 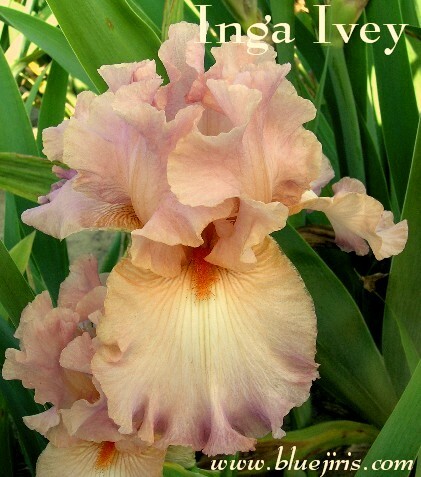 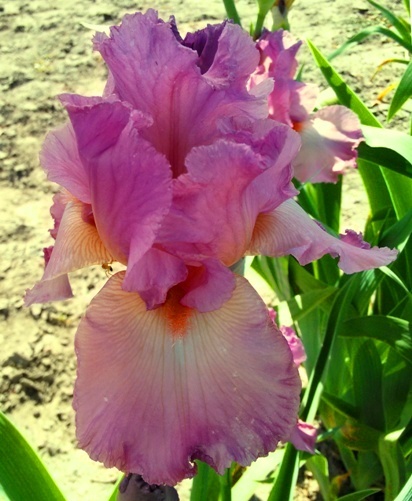 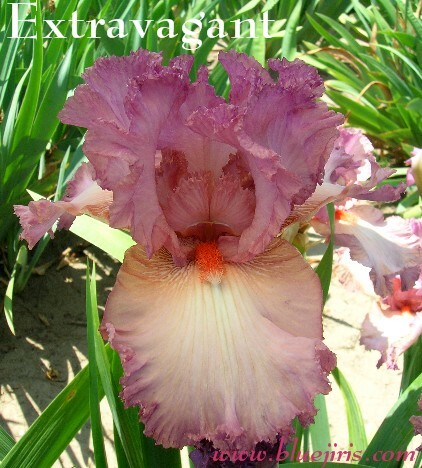 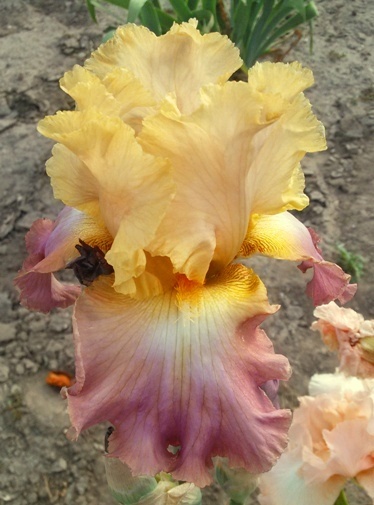 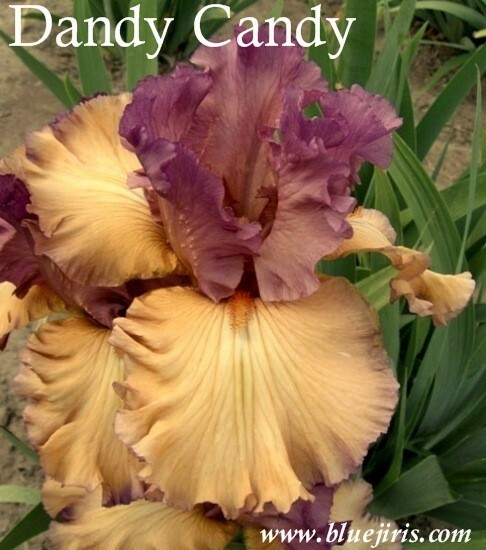 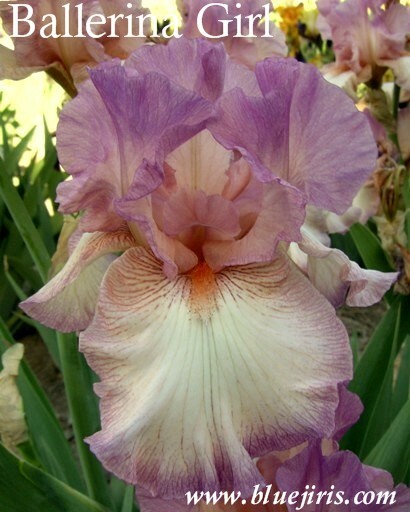 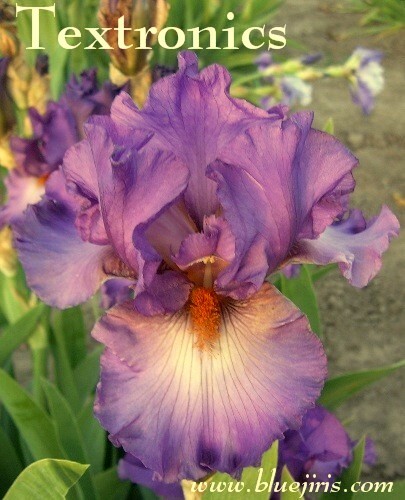 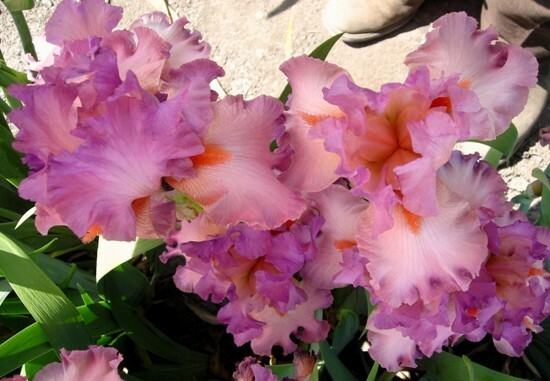 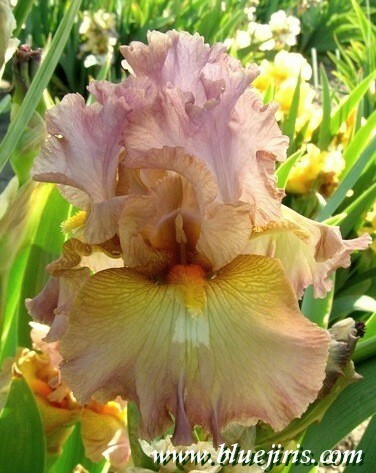 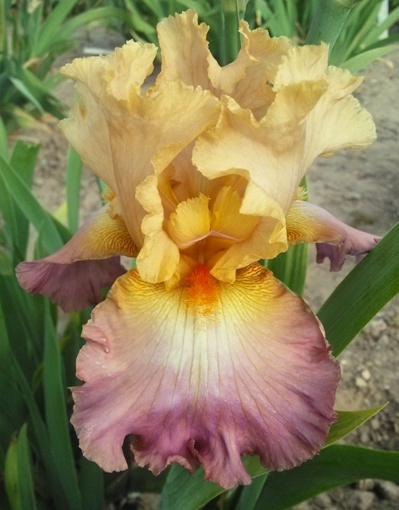 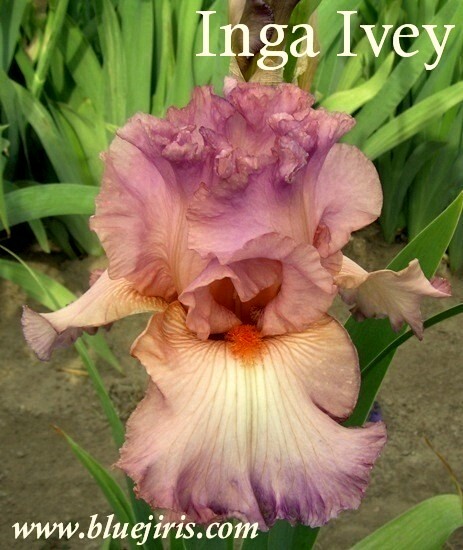 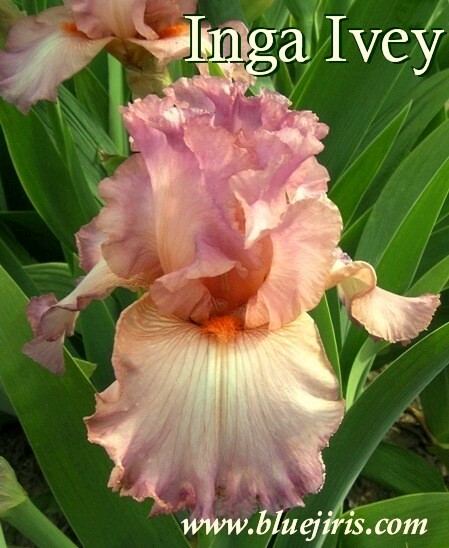 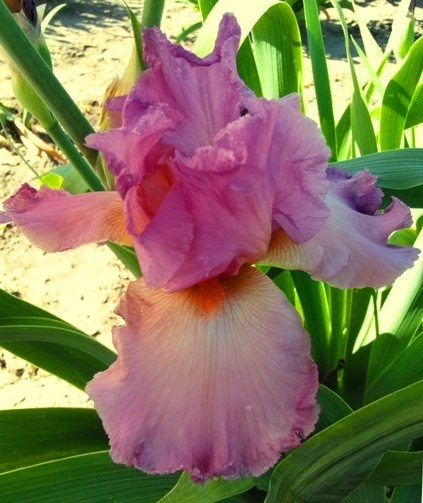 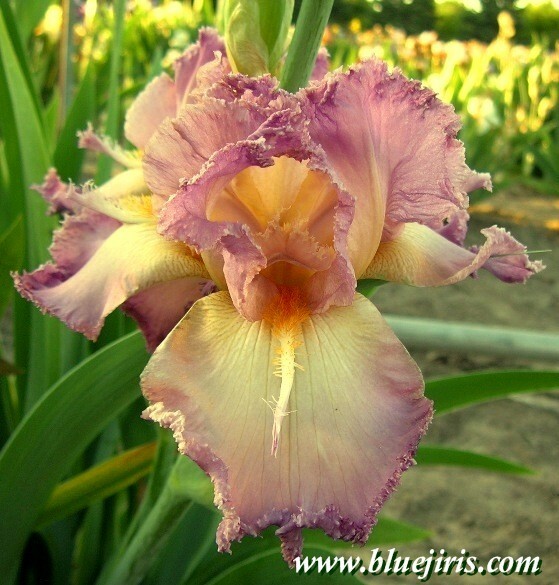 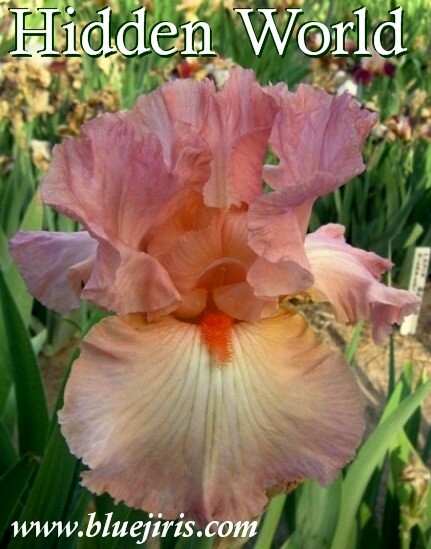 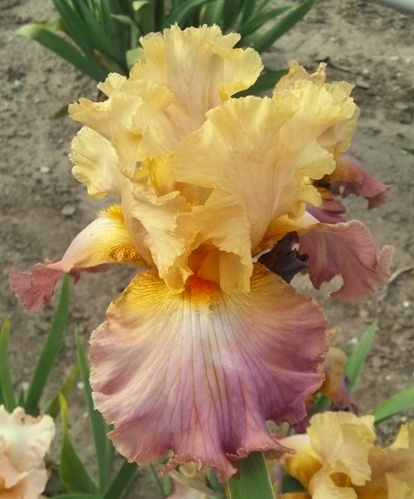 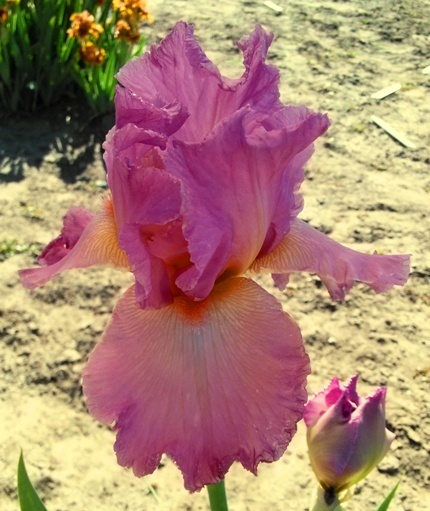 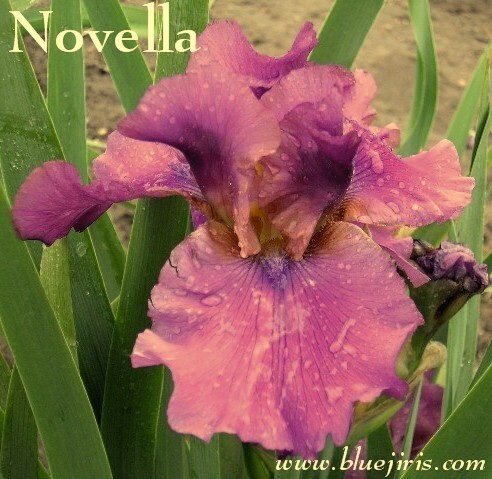 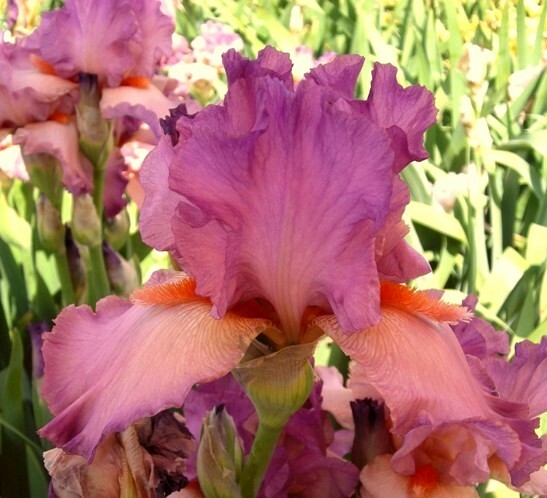 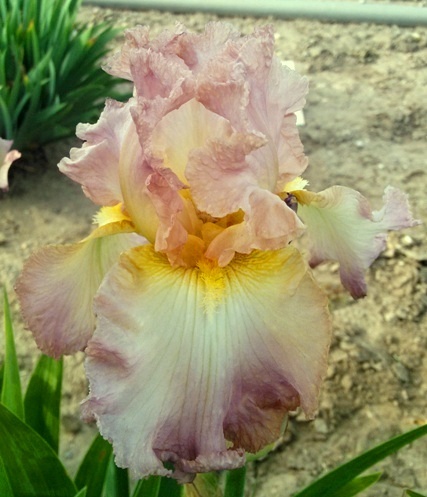 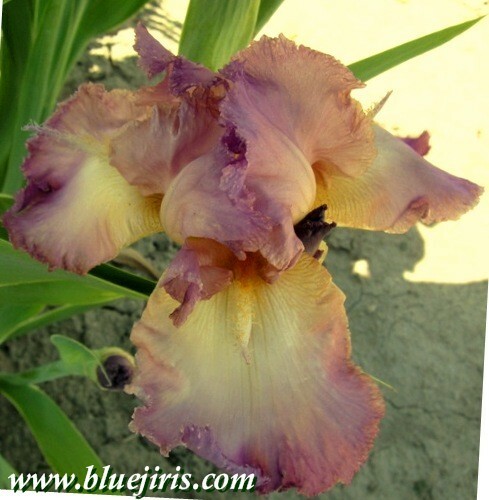 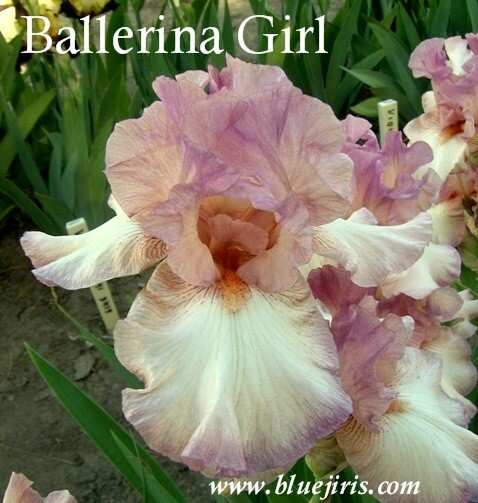 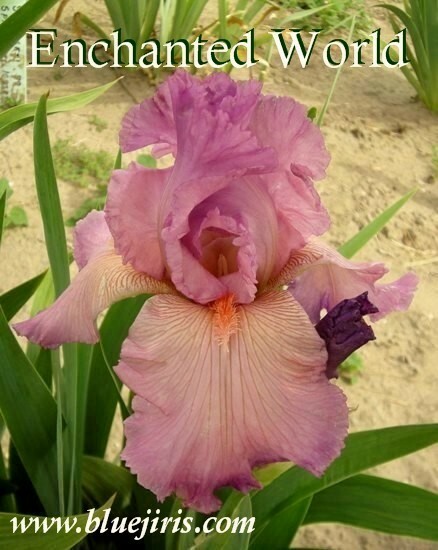 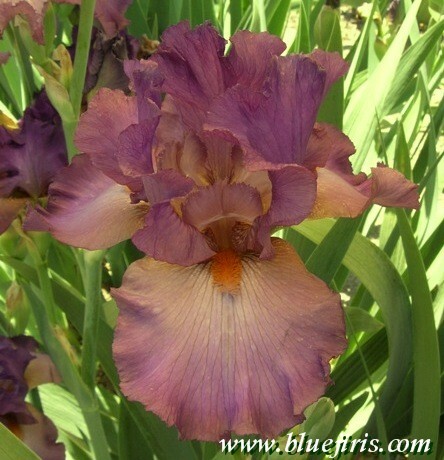 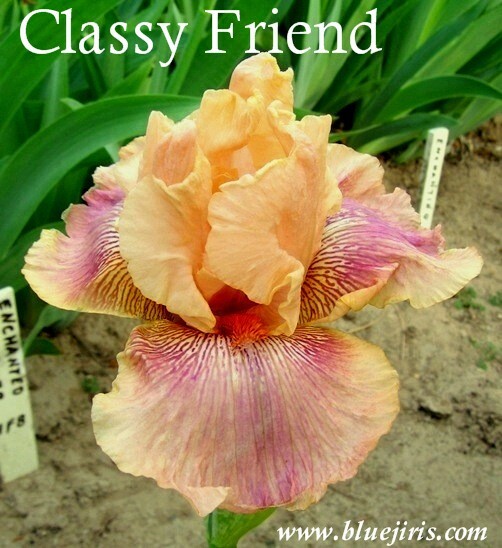 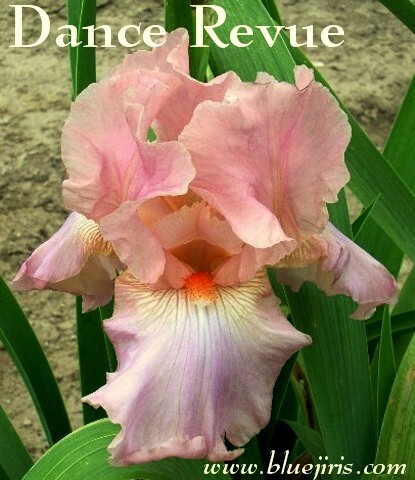 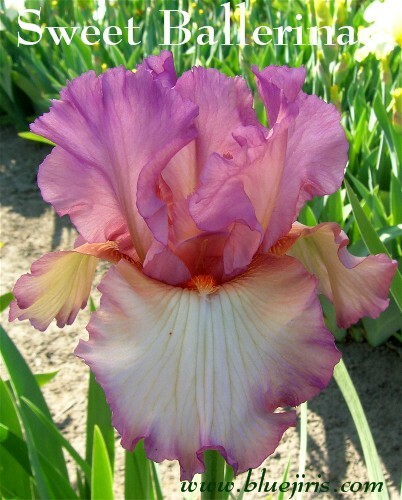 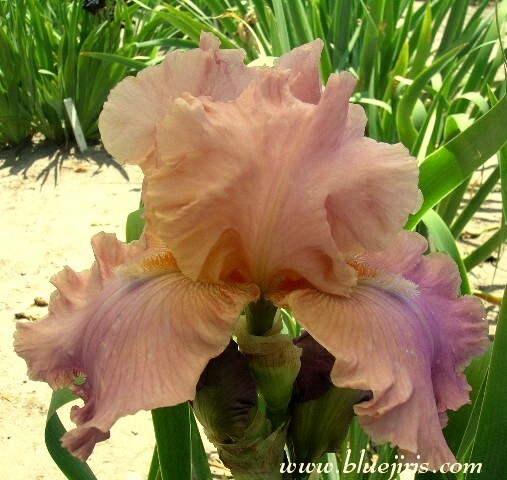 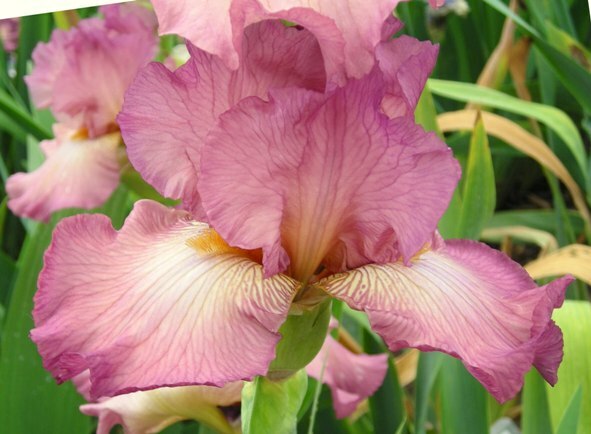 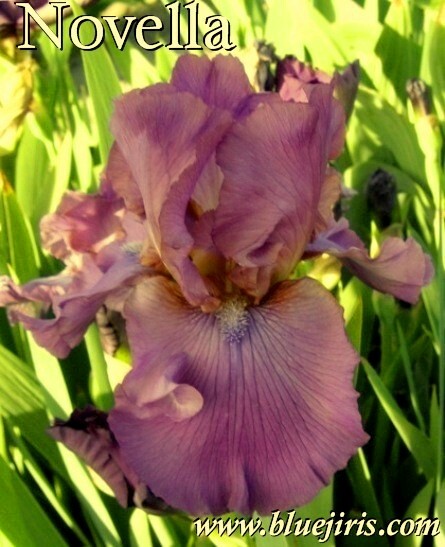 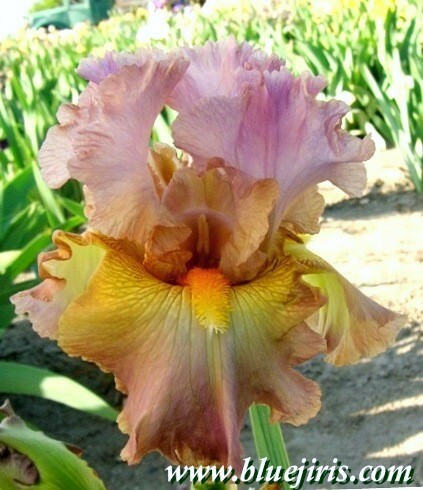 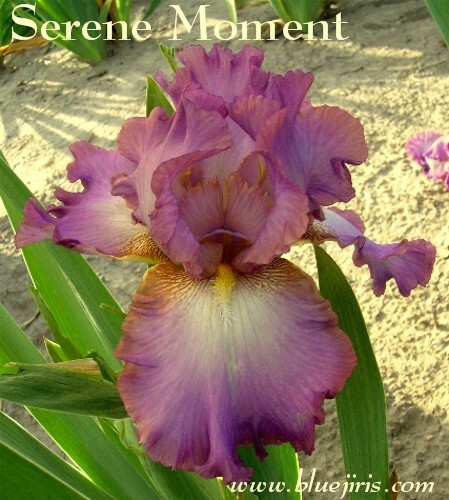 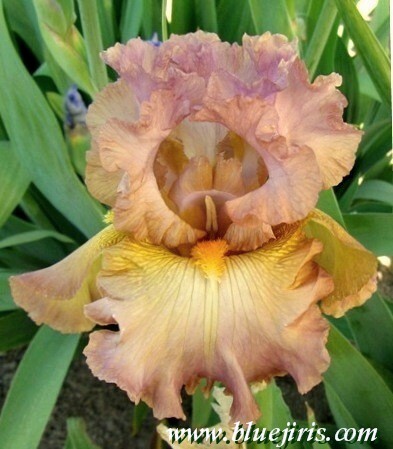 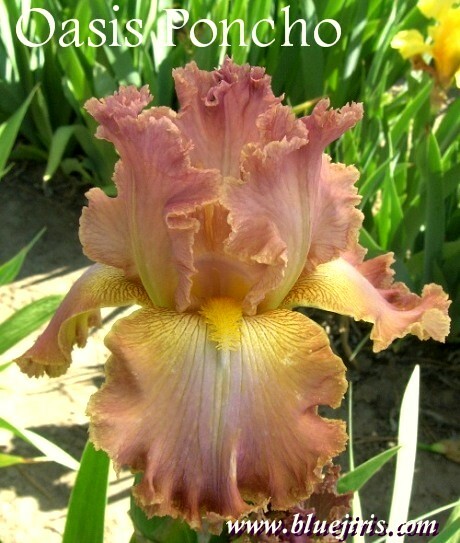 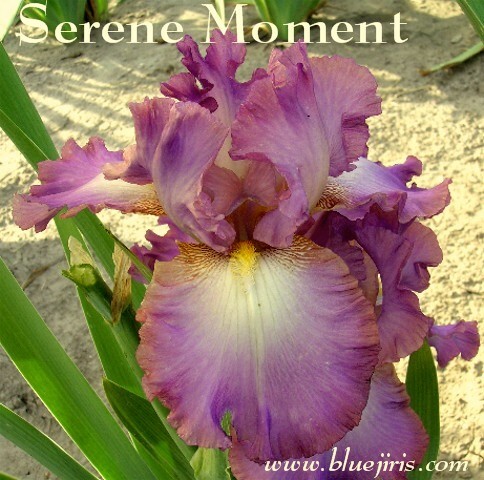 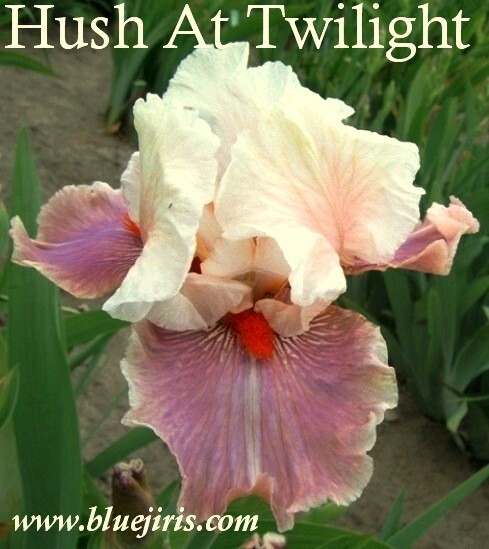 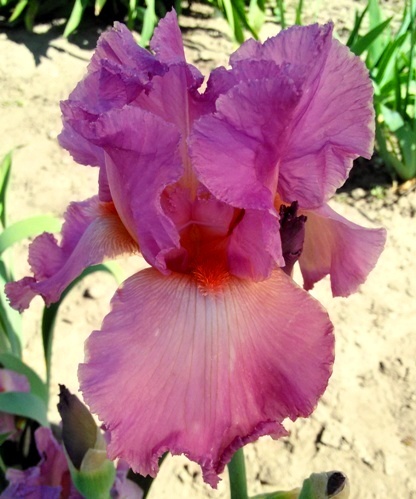 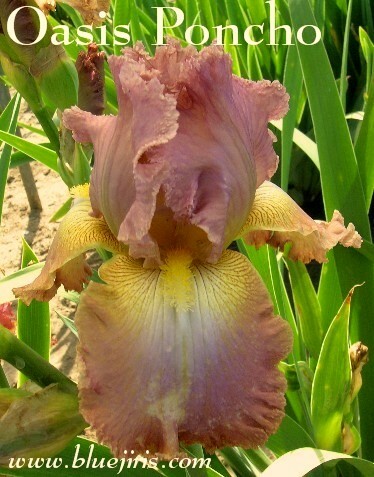 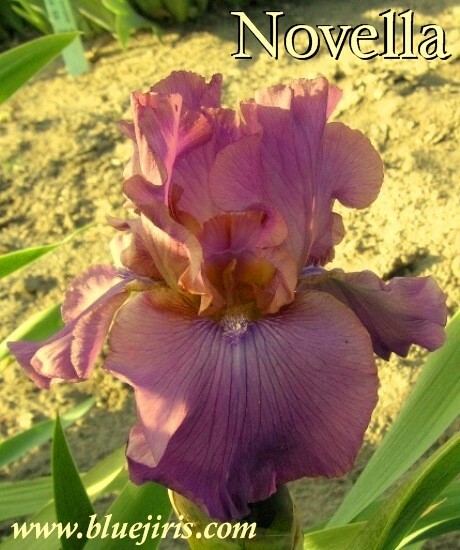 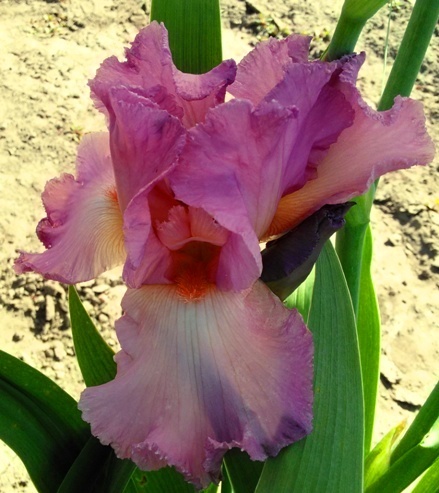 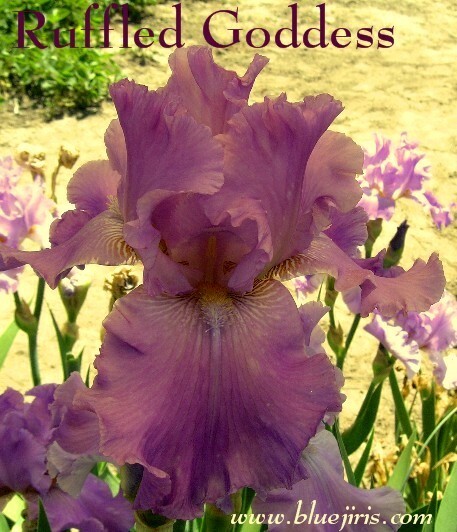 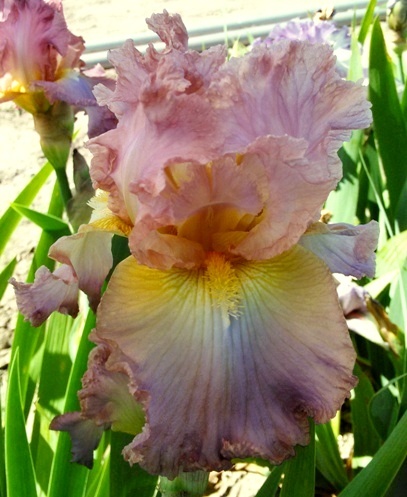 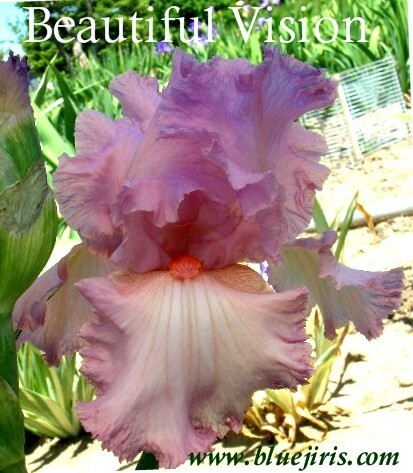 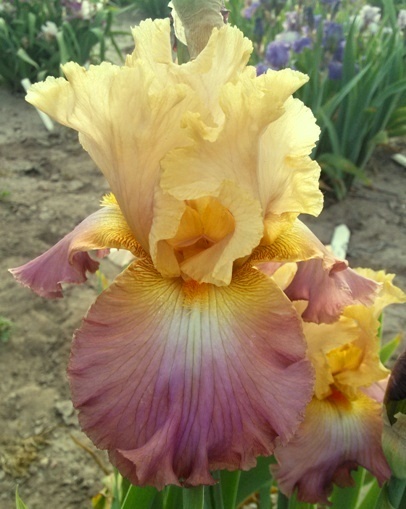 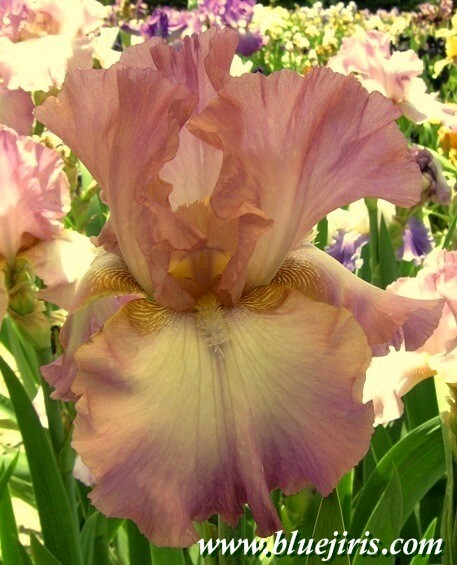 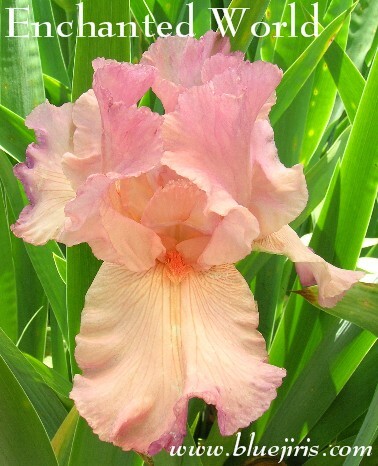 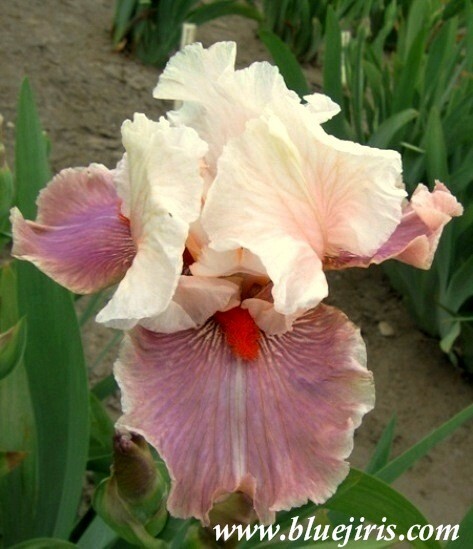 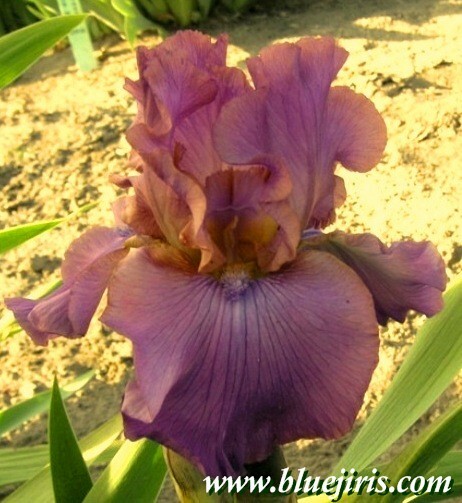 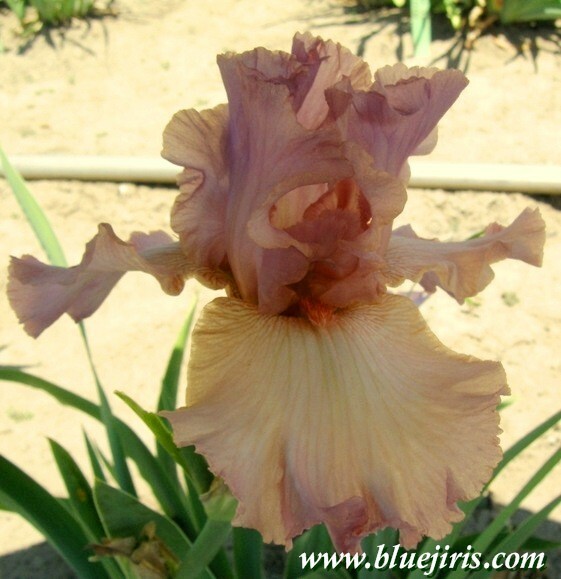 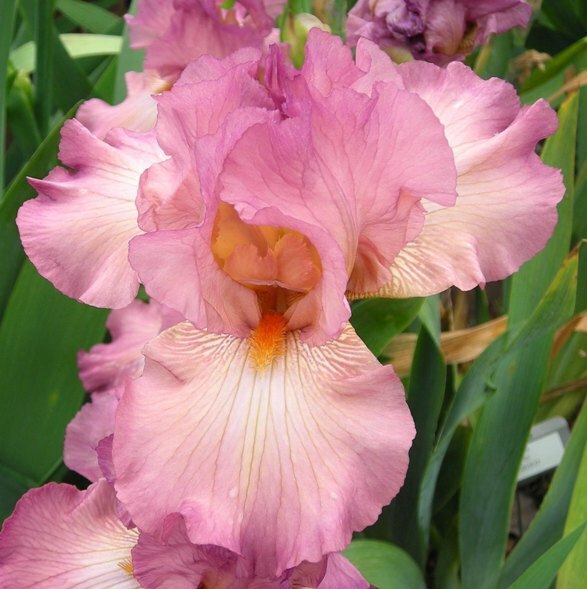 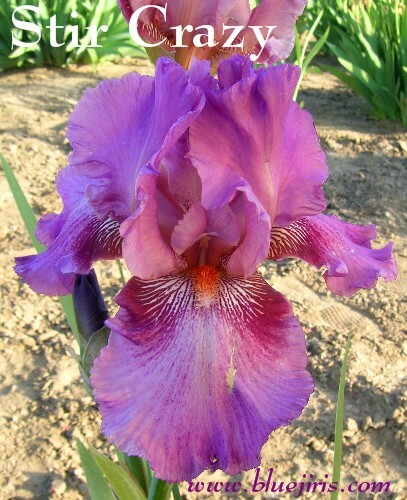 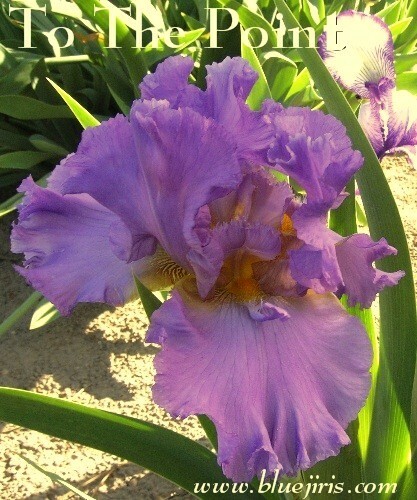 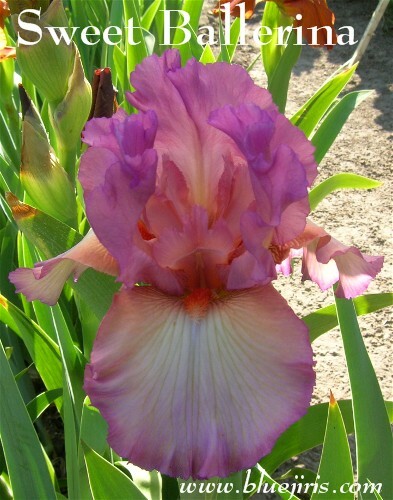 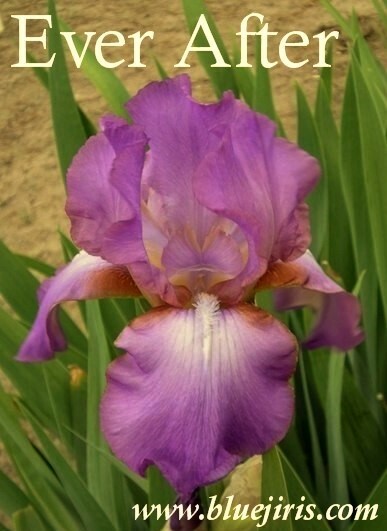 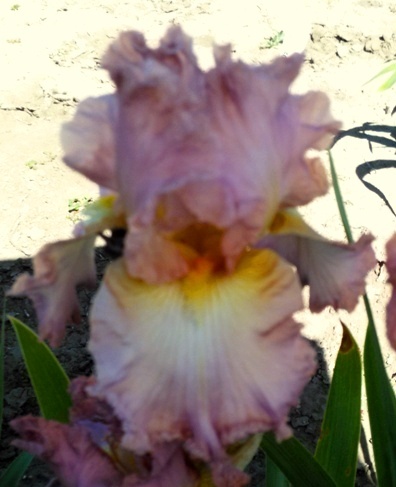 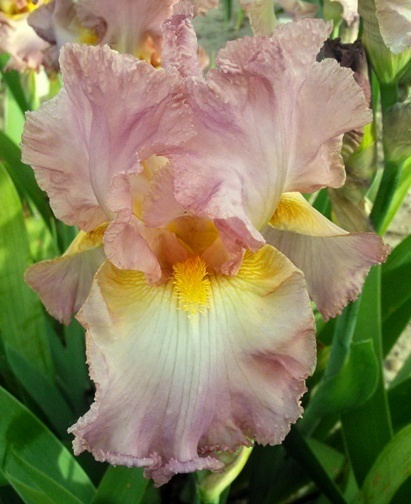 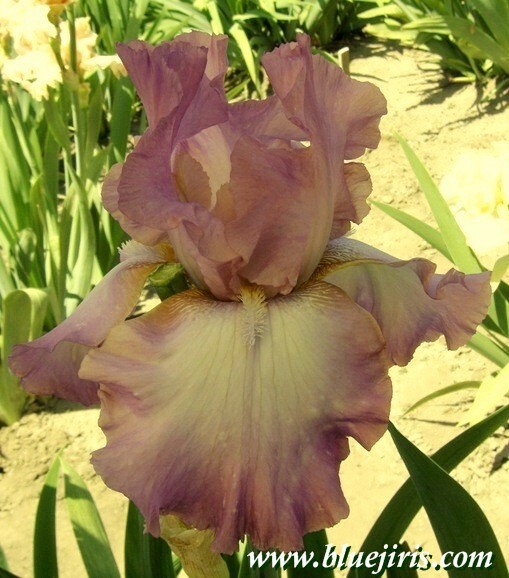 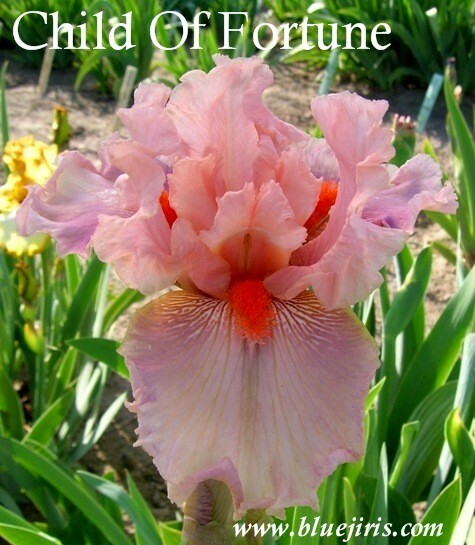 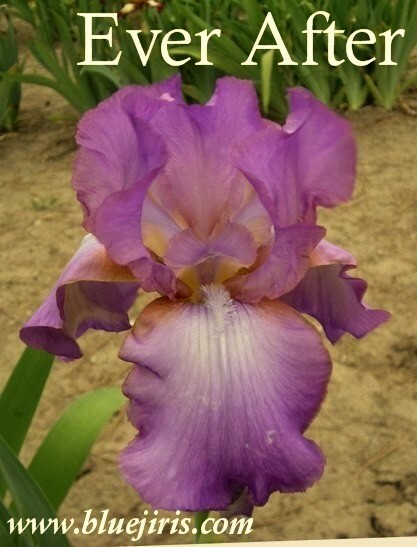 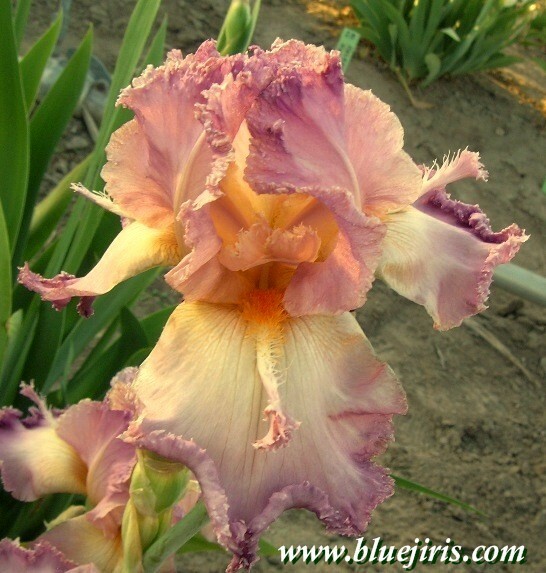 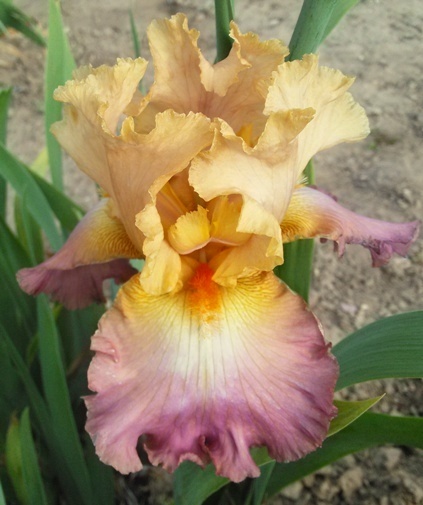 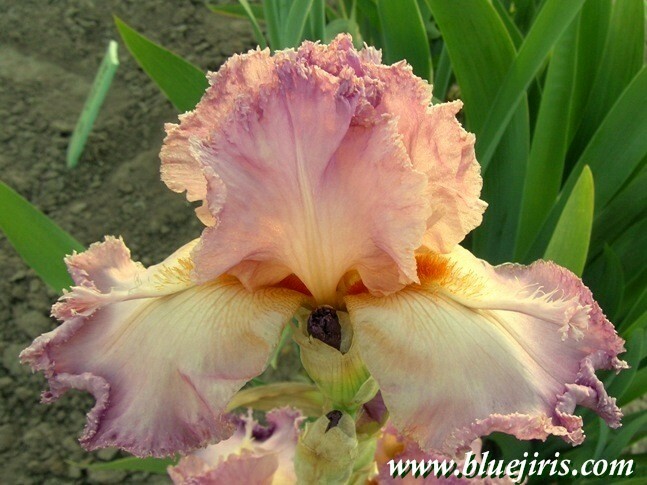 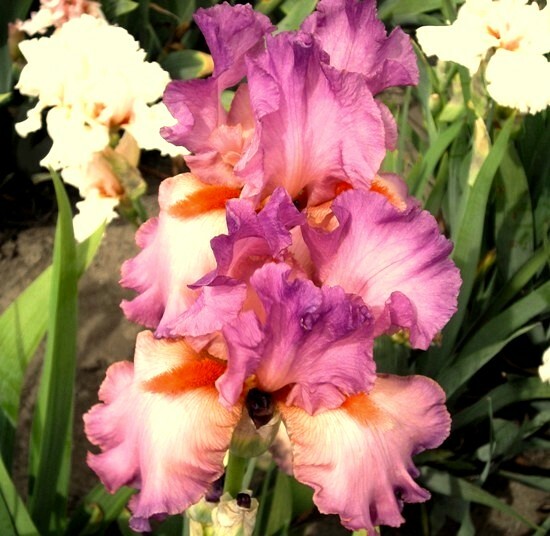 S-med.-light purple; F-bright peach, shoulders deepr, lgt purp.rim blending/veining; B-tanger; ruf., sl.sw.frag. 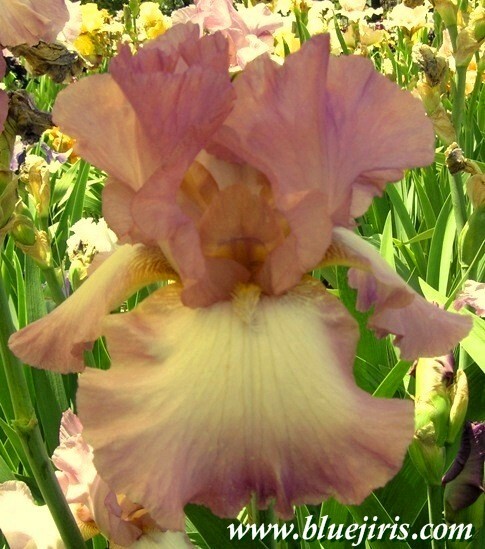 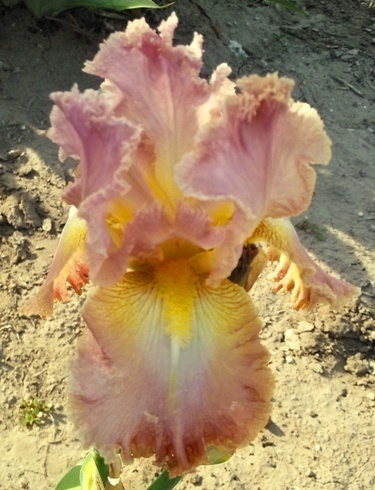 1969 Light lavender self; orchid beard; small amount of brown at haft. 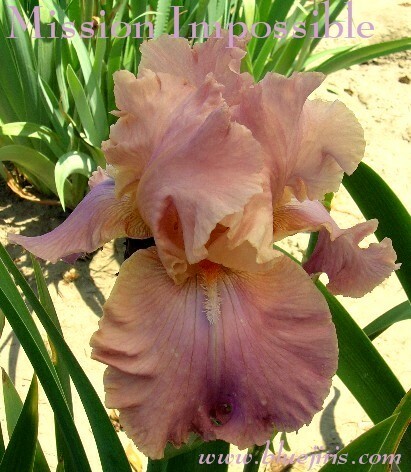 Maiden Blush X Pink Sdlg. 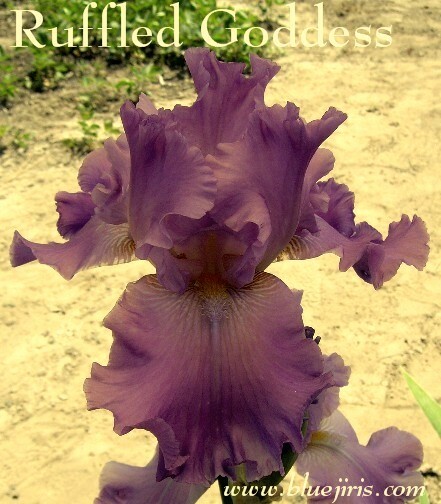 Cherub Choir X Adorable You.